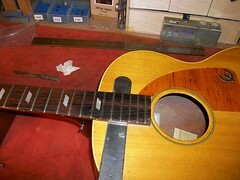 This lovely old ‘30s Kalamazoo came into the workshop because it has a problem with its action. 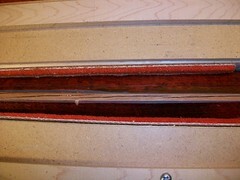 The action is very high and it’s not too long before the reason for this high action is spotted. 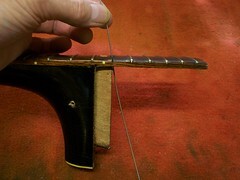 The neck is pulling up with the tension of the strings and a gap has appeared at the neck/body join. 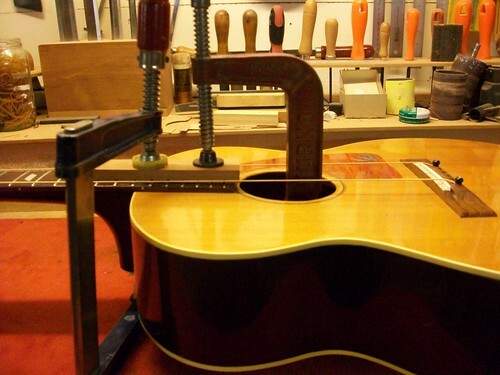 According to its owner it had been attended to in the past but the repairer merely forced glue into the join, applied clamps and hoped for the best. 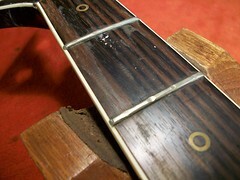 Consequently over time the join has failed again. 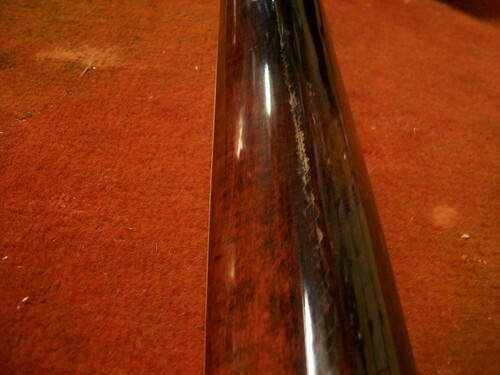 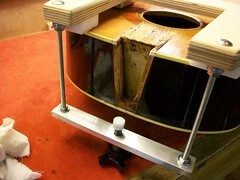 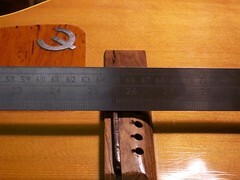 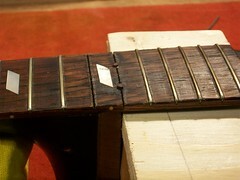 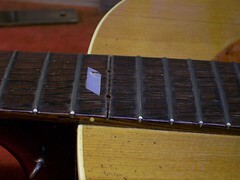 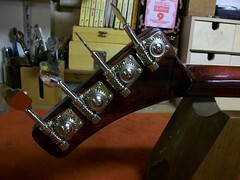 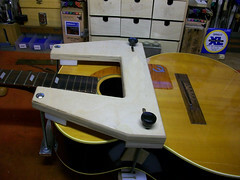 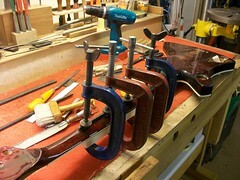 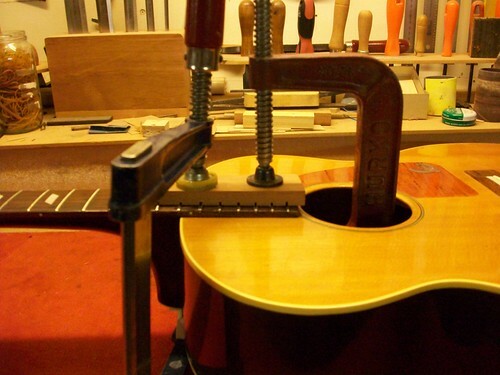 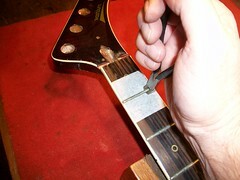 The only means of dealing with this type of issue is to remove the neck and to make an assessment of the internal join. 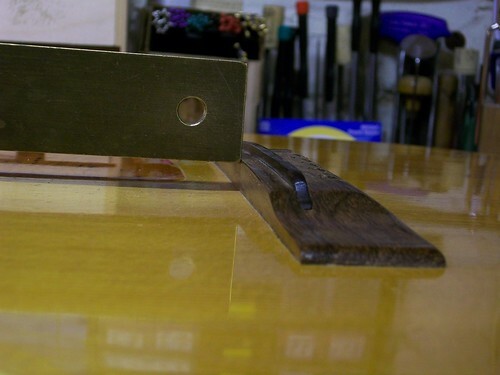 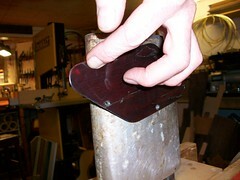 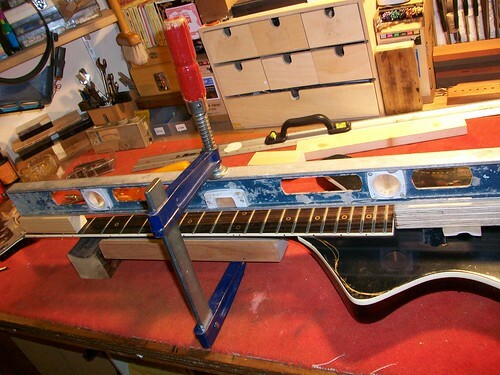 The fingerboard extension is heated to release the glue. 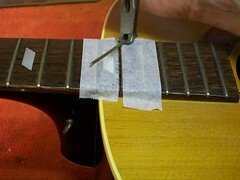 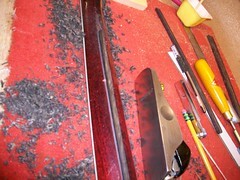 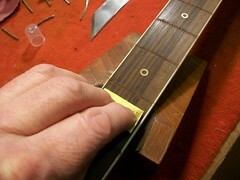 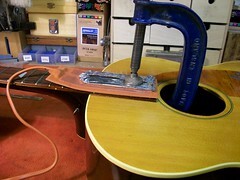 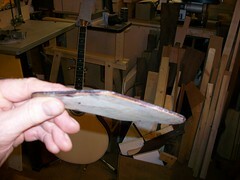 By teasing a little warm water into the join the hide glue is softened and the neck join becomes undone. 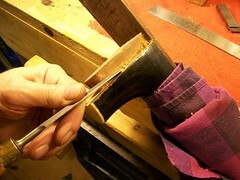 The neck and body are held together with a simple French Dovetail. 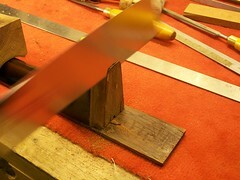 On close inspection of the dovetail it appears that it does not reach to its full height. 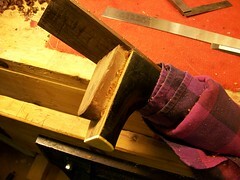 It is decided that a simple solution would be to extend the male half of the dovetail. 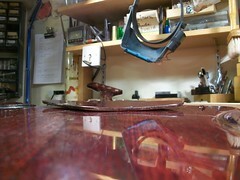 The end is trimmed down and a piece of Mahogany glued into place. 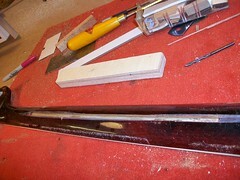 As a safeguard an Ebony dowel is fashioned and inserted down through the body of the join. 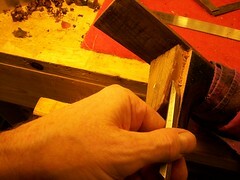 Veneer shims are added to the dovetail to ensure a snug fit. 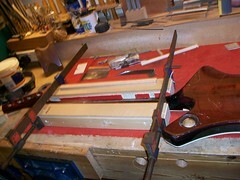 The join is assembled using hide glue and clamped. 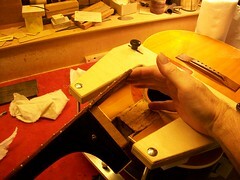 A few days later the mandolin is strung up, tuned and tested. 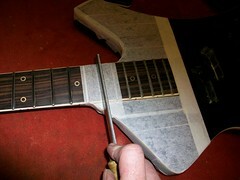 The join is now gap free and the playing action is as it should be. 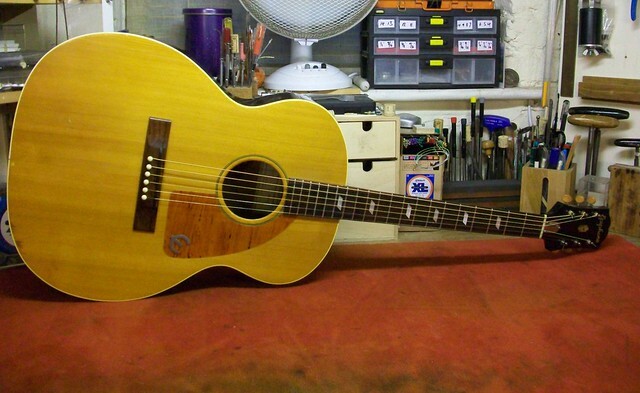 This lovely old mandolin has the beautiful tone of a mature instrument with the playability of a new mandolin, good for another 80 years! 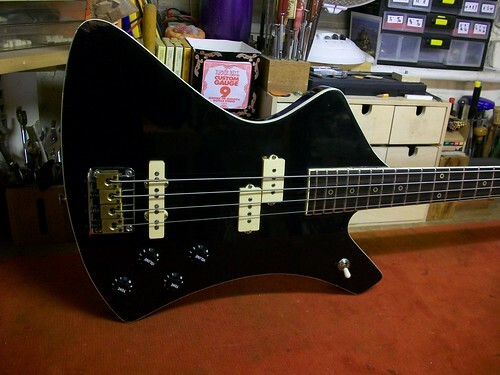 The Guild 302A , a unique vintage bass. 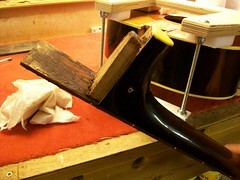 This Guild 302A bass was brought into the workshop with a split in it’s headstock. 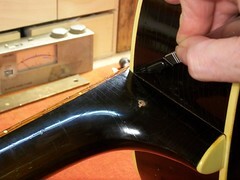 This presented a fairly routine repair. 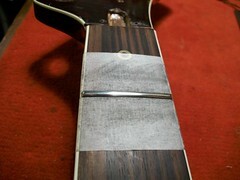 It was to be a visible fix because of budgetary constraints. 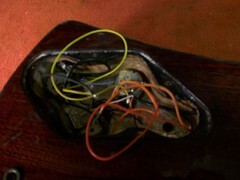 During the course of the repair it was decided that the existing Badass bridge should be removed and an original BT-4 bridge be installed. 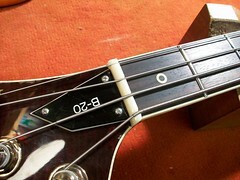 The chances of finding a BT-4 were fairly remote and the original for this bass had been lost several years ago. 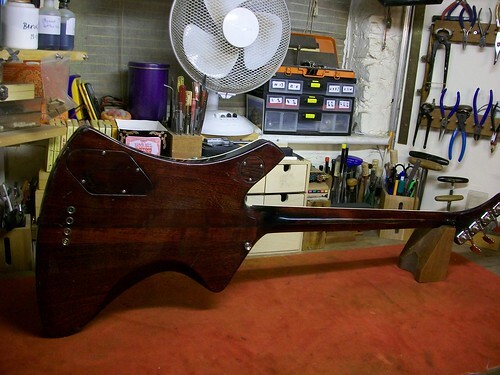 However, with much internet searching and to the great surprise and delight of the owner a second hand BT-4 was located for sale in the U.S.
On receipt of the new BT-4, the Badass bridge was removed and the old style bridge installed. 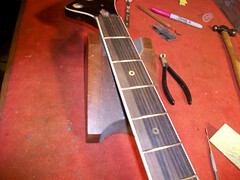 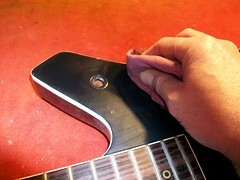 The frets were polished and fingerboard cleaned. 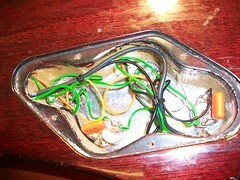 All the electrical components were overhauled and cleaned. 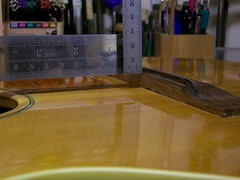 The bass was fitted with new Rotosound strings, the truss rod adjusted and the string spacing and intonation set. 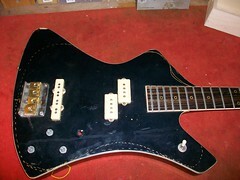 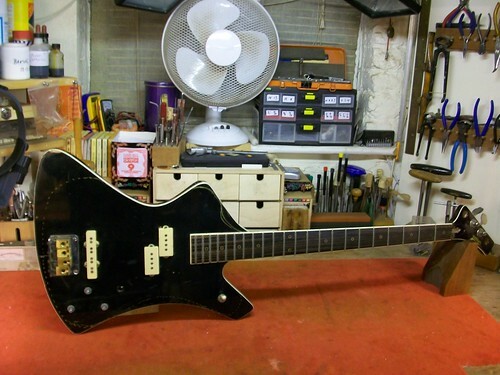 What resulted was a unique vintage guitar restored to it’s former glory. 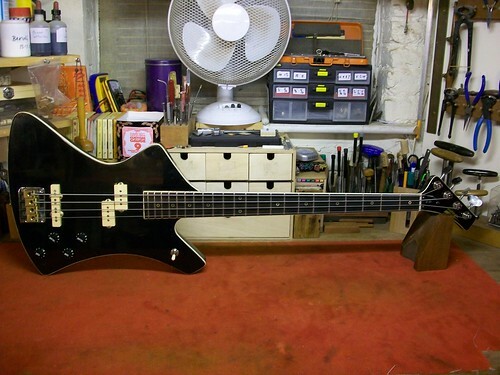 Apparently only 500 of these basses were ever produced.